The large village Santanyi in the southeast of Majorca is currently on the up. Many old town houses are being extensively modernized and renovated. After the renovation, many pretty new fashion stores and also many nice new restaurants emerge. Every Wednesday and Saturday is market day. Here one can buy everything from vegetables, fruit, ham and cheese as well as jewellery, handbags, shoes and clothing. Flowers and household products are also available. The many small shops and bars plus restaurants and cafes are filled with life during the day. The market is busy all year round. The rest of the year is very typical here, as Santanyi has this modern touch, which makes the village so unique. Many cosy restaurants and nice courtyards invite to eat delicious food. Almost all restaurants feature Mediterranean cuisine with also a few British dishes to choose from. The best -known restaurants are probably the market restaurant and the Goli. If you are looking for delicious pizza, the Pomodoro is the right place to go. The selection in Santanyi surely is vast and there are many tasty possibilities. Shopping is also fun in this village. One can simply take stroll and then drink a nice glass of wine at the end of the market place and watch the hustle in the village. Santanyi has about 3400 citizens. The fishing village Porto Colom has a small and very pretty harbour with old fishing boats and jots. Situated along the harbour are various restaurants with upscale cuisine, e.g. the renowned and very exclusive restaurant Colon or also the new Sa Llotja with its unique view over the harbour. The restaurant Florian with its Austrian cuisine is also popular among tourists. In Porto Colom you can find pretty shops, many restaurants and also lovely bathing beaches. A pulsating place with flair in the southeast of Majorca. 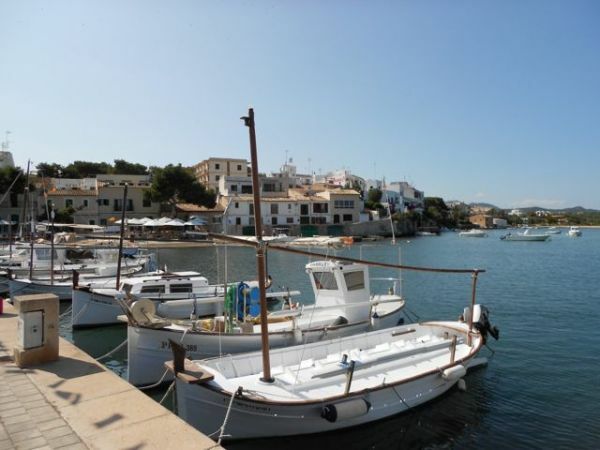 Porto Colom is the largest village of the community Felanitx with about 4600 citizens. Being a tourist resort with Ibizan-style buildings, Cala D’Or stands out with its white houses in the style of Ibiza’s scenery and is also very popular among British holiday makers. Cala D’Or lies in the southeast of Majorca and is characterized by lively streets from May to October. 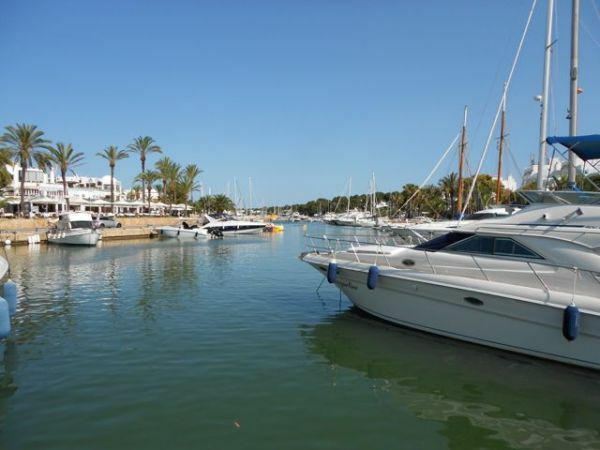 Located in Cala D’or next to the bustling town centre with its many stores, souvenir shops, fashion boutiques and numerous bars, cafes and restaurants is the mundane marina. Located around the marina are the restaurants with direct view of the mega jots. Very good restaurants such as the Botavara or the Port Petit can be found here. It is also possible to charter a jot. Day trips with the speed boat or a glass bottom boat can also be booked from here. In Cala d’Or the range of things to do is large. Mini golf, tennis, water sports, diving and much more is possible here. The village Cala D’Or is the largest of the community Santanyi and is home to about 4100 citizens. The small romantic fishing village lies in the southeast of Majorca, not far from Cala D’Or. However, the small fishing village has no need to hide itself. The village features a lively hustle during the whole day and the many restaurants and cafes around the harbour invite to linger. One is welcome here and the restaurants offer friendly service. The small fishing boats called Llauds sway gently in the water and the large jots let us dream of luxury. Many new modern cafes invite visitors at weekends, when the village turns into a stage with live music and Spanish flair. In August, it hosts the well-known harbour festival with music and dance, to which a fashion show was added a few years ago. You can enjoy great Paella in the restaurant La Caracol, and delightful cocktails in the bar Carpe Diem. It’s a small village on the up with many possibilities. There are two small bathing bays adjoining to Cala Mondrago. Sports activities like diving, tennis and riding are all possible in Porto Petro. There is also a kayak school in Porto Petro. The village Porto Petro has about 650 inhabitants. The town Soller is located in the west of Majorca. Soller is renowned for its tasty oranges from the valley of Soller. It is also well-known for the “Red Lightning” of Soller, a train from the 19. century that takes you from Soller to Palma. People also used to call it the Orange Express, because it goes through many valleys of orange trees. Snugly one is taken through many tunnels all the way to Palma. The parish church Sant Bartomeu, which was built in the 16. century, can also be observed in Soller. The small alleys and streets with numerous cafes and restaurants are waiting to be explored and invite to linger. One should definitely try the tasty ice cream of Sa Fabrica des Gelats, especially the orange taste. Also the restaurant Café Soler should be visited at least once. Here you can wonderfully eat or have breakfast with a view of the cathedral. Soller has about 8700 citizens. The village with harbour in the southwest of Palma de Mallorca became famous via radio and television. Many famous people have bought or constructed a villa on one of the prominent hills of Andratx. The once small fishing village today is a modern town with harbour featuring many shops high quality clothing or jewellery. The shops with typical Majorcan products and souvenirs are also not missing here. Many restaurants and cafes are located along the harbour and in the town centre, were small alley ways run in line. The well know Café Cappuccino is located right at the harbour. The restaurant Can Pasta or also the restaurant Curry & Style are frequently visited in Puerto de Andratx. The small alleys in the town centre have preserved the typical style of the fishing town and it is definitely worth a visit. Puerto de Andratx has about 3000 inhabitants. 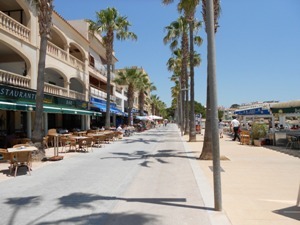 The town Alcudia lies in the north of Majorca and is one of the most popular destinations for holiday makers. 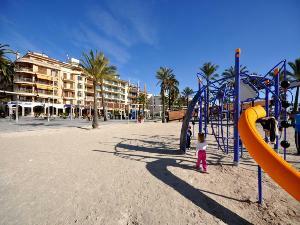 Many families visit Alcudia every year because of the long beach by Puerto Alcudia or the beach Platja de Muro. 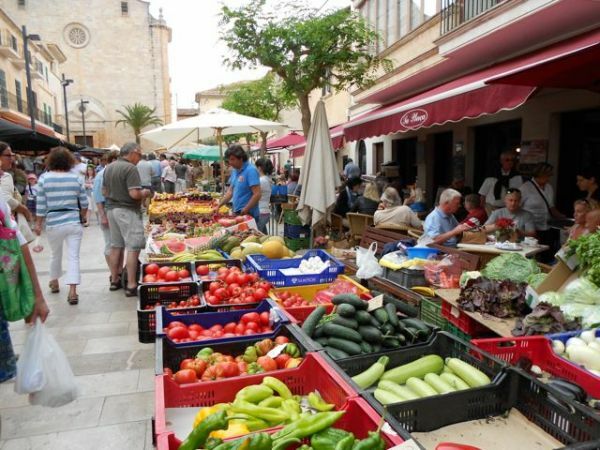 The town centre of Alcudia with its narrow alleys, shops and restaurants is definitely worth a visit. The restaurant “Can Costa” is popular among many guests and recommended. Every Thursday and Saturday is market day. 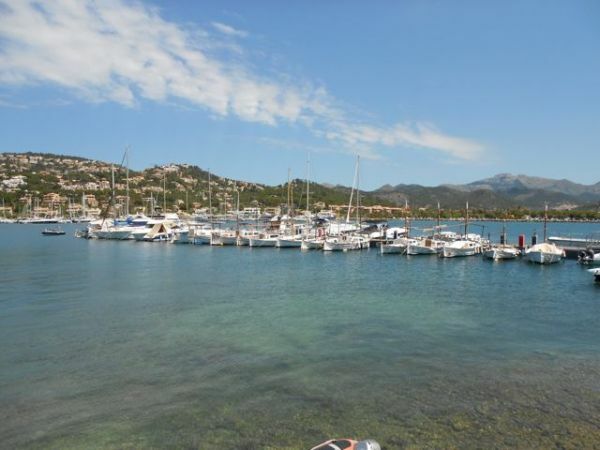 The port of Alcudia “Puerto de Alcudia” offers trip boats, numerous shops and many restaurants. In Puerto de Alcudia the restaurants “Bistro 1909” and the “Sa Roma” are highly recommended. There are many day trip options from Alcudia like e.g. the water fun park “Hydropark” etc. 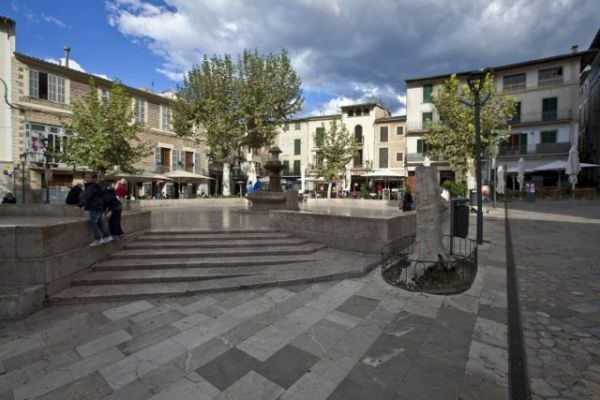 About 20200 residents live in Alcudia. The former fishing village lies in the south of Majorca close to the lovely beach Es Trenc. The beach by the village along the promenade is also highly recommendable. From there you can rent rubber dinghies, and a speed boat or trip boat crosses over to the island Cabrera. Situated along the promenade are stores and restaurants. The restaurant “Marisol” is very popular among many guests. 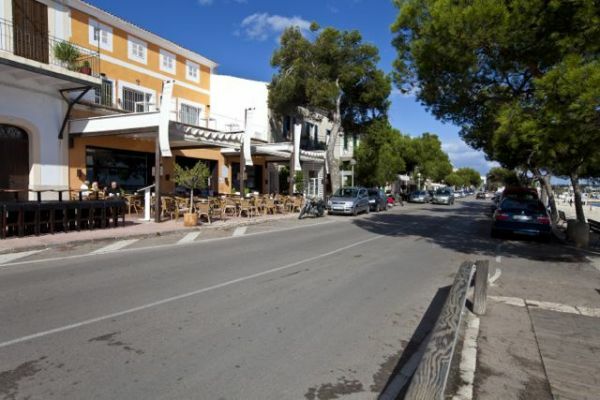 A further great restaurant in Colonia Sant Jordi is called “Sal de Coco”. Colonia Sant Jordi has many apartment flats as well as hotels in all categories. The dream beach Es Trenc has made Colonia Sant Jordi very popular and renowned over the years. Many Spanish people come here in summer and move into their holiday apartment right by the sea.